OFI reports an update on Indonesia’s Banggai Cardinalfish management. 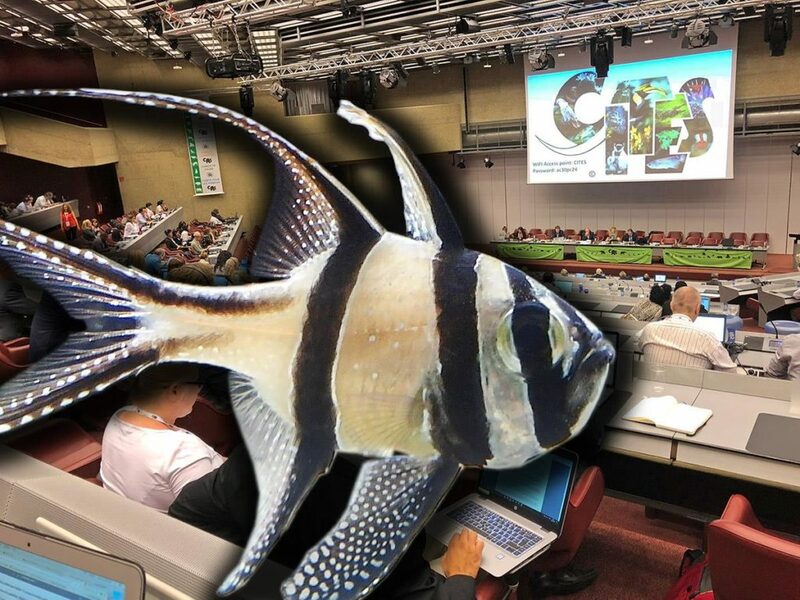 The Convention on International Trade in Endangered Species of Wild Fauna and Flora (CITES), which held the 30th Meeting of its Animals Committee in Geneva last week (July 16-21), has a long story of watching over the Indonesian endemic Banggai Cardinalfish, Pterapogon kauderni. The requested report, entitled “AC30 Doc. 21.2 – Conservation and Management Measures to Ensure the Sustainability of International Trade in Pterapogon Kauderni” (see https://cites.org/sites/default/files/eng/com/ac/30/E-AC30-21-02.pdf), was presented last week.